Nicaragua is strategically located in the heart of the Americas, right in the center of Central America, and a few hours away from the main U.S and South American cities. 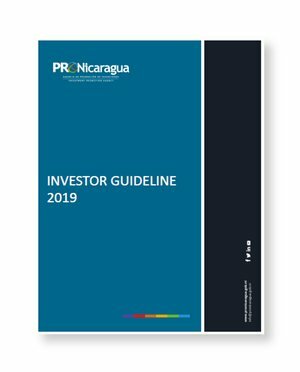 Nicaragua enjoys a privileged connectivity with the main commercial destinations in the region and the rest of the world by plane, land, and sea. 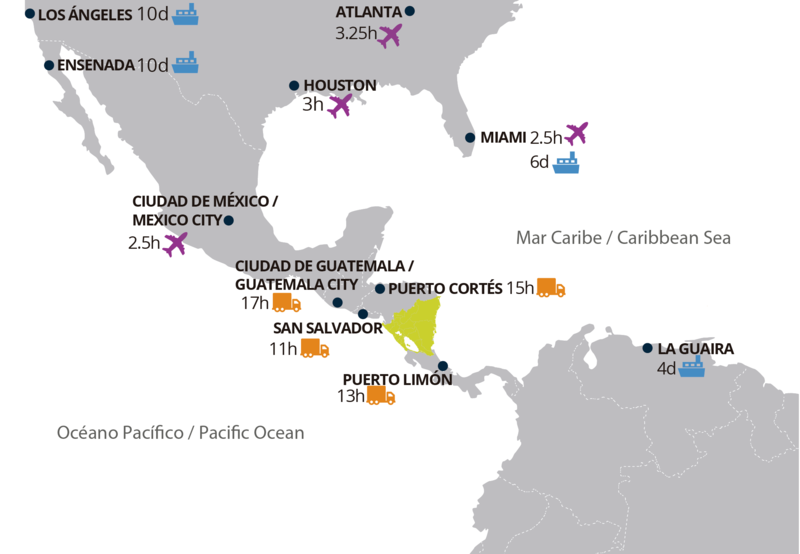 Nicaragua is only two hours away from the main air hubs of the United States. Currently, Managua’s International Airport has nine direct flights: four to the United States, four to Central America and one to Mexico. Nicaragua has access by land, to its neighboring countries, in less than 24 hours and to Mexico in an average of two days. The Pan-American Highway is the country’s main route for land transportation and is part of a complex highway system that connects Nicaragua’s main cities. Nicaragua’s main port is Corinto, located 155km northwest of Managua in the Pacific Coast. Additionally, is connected by land to Honduras’ and Costa Rica’s main ports which makes it an ideal distribution center for Central America. Nicaragua’s average shipping time is four days, to the main southern ports of the United States and South America.